“My insides still burned. I considered what I could do to push the torment back into the dark and return to my numb state. I couldn’t do it on my own. I needed help. I was desperate.” Emma Thomas is hiding. From everything and everyone... including herself. But she can’t hide forever. Her past will find her, and her secrets won’t remain quiet — not if she wants to be forgiven. Emma learns that honesty can hurt worse than betrayal, and the truth may cost her the only love she’s ever known. 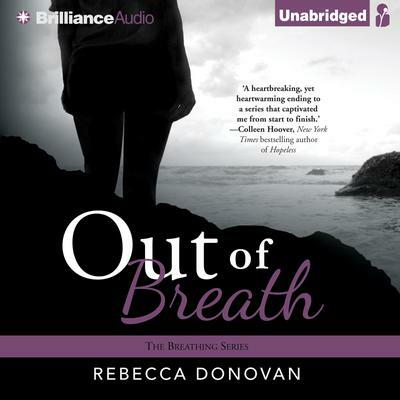 The highly anticipated conclusion of The Breathing Series will have listeners holding their breath until the very end.